Climbing a steep metal ladder along the interior walls of St. Charles Church, I reach an attic space some 40 feet off the ground. Two more ladders are required to reach the open platform that houses the large church bell — this outdoor platform presents spectacular views of Lowertown, Parliament Hill, and the tree-topped hills of both Rockcliffe Park and Beechwood Cemetery. Most striking, though, is not the view or the winding street below, but how the church building itself is situated within the area. From this height, the cross-shaped roof of St. Charles Church acts like a connector between the four neighbourhoods that border its property. The long nave runs parallel to Beechwood Avenue and Barrette Street, creating a natural link between east and west, while the large grassy park in front of the church unites north and south. In some instances, a building’s landmark value is not recognized until the edifice itself is removed from the enviro- nment it once occupied. Still, the reality at street level diverges from what I observed from on high one summer day in 2013. The site of St. Charles Church hadn’t functioned as a connector — a town square of sorts — for some time. In fact, it had become a burden to those who once occupied the space. Its parishioners now worshipped elsewhere. The park surrounding the church had become unkempt, the neon cross atop the steeple was no longer lit, and the interior sat mostly empty. The church and its surrounding site were a mere shell of their former active selves. The landmark value of a building — that is, a building’s physical, architectural, or historical value — is at times hard to quantify and, once identified, may not necessarily be accepted by all. In some instances, a building’s landmark value is not recognized until the edifice itself is removed (most often by demolition) from the environment it once occupied. The case of St. Charles differs somewhat, because the building had been identified by the city as a landmark and the site itself as an important node along Beechwood Avenue. And yet it was as if the church had also been orphaned — by those who formerly occupied the space and by those now living around it. 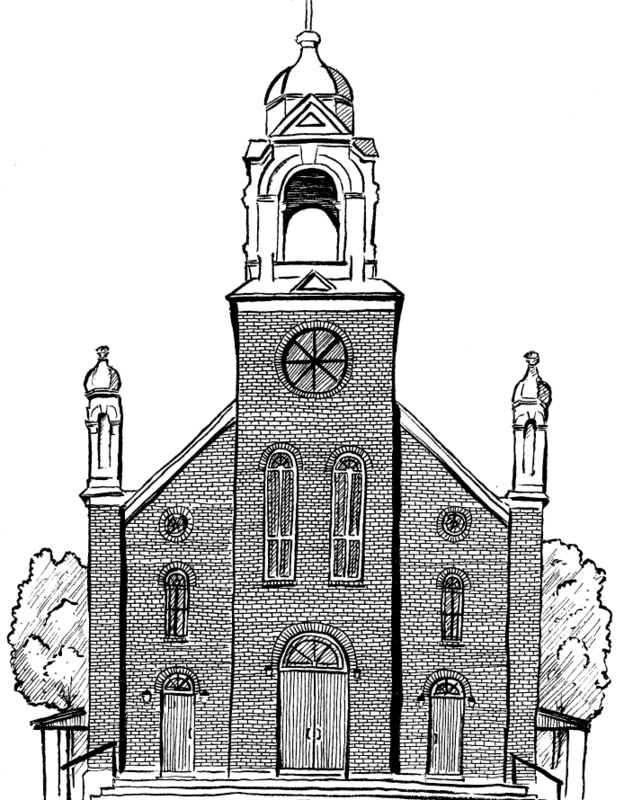 In the 1950s, some 5,000 parishioners worshipped at St. Charles Church. But by 2010, when the parish closed, the congregation had shrunk dramatically. Many had moved to more spacious homes in the suburbs over the years; many others had left the church altogether. To its new neighbours, perhaps those without a direct link to the parish or the Catholic Church, the church facade and the abandoned site held less meaning. Thus, with deconsecration in 2013, the demolition had become a probable and acceptable outcome to many. In fact, some welcomed the possibility of a new condo tower occupying the space, believing it would usher in new activity along Beechwood Avenue. The rejuvenation of Beechwood has been the subject of much discussion over the past decade, its empty lots and vacant commercial spaces an irritant to many residents intent on turning the winding avenue into a thriving main street. Historically, municipal politics has not helped. Beechwood Avenue marks the dividing line between New Edinburgh, Lindenlea, and Rockcliffe Park (located to the north) and Vanier (located to the south), a divide further perpetuated by Vanier being its own municipal jurisdiction until 2001. This led to fragmented efforts at street renewal, with even a Business Improvement Association responsible for only one side of the street. But none of this seems to be of much relevance when I am standing high above Beechwood, next to a bronze bell, and below a broken neon cross. This vantage point allows one to ignore the artificial divide between north and south. More importantly, it helps one recognize the role St. Charles could play (again) in connecting the two. 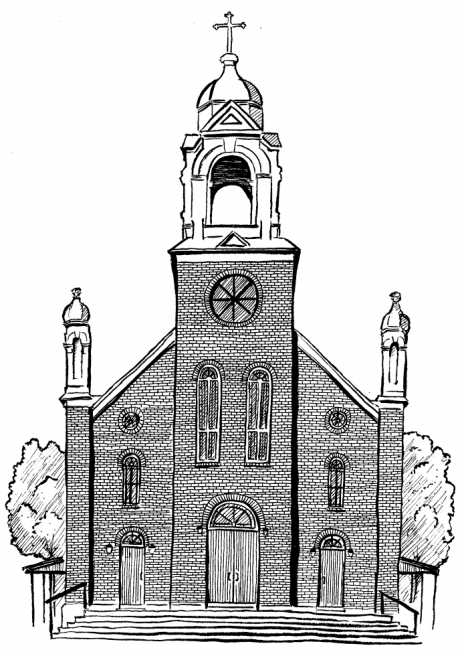 Following my descent from the tower that day, I decided to conduct further research on the history of St. Charles Church and discovered a significance reaching far beyond its visual presence. I called the City of Ottawa, inquiring about the process by which a building receives heritage designation. It had been widely believed by those in the community that heritage designation for St. Charles had been refused. But city staff refuted this claim and confirmed that designation for the church had never been formally requested. I conducted some further research on the designation process and submitted an application that, along with support from the broader community, led to the formal designation in November 2013. The designation status will protect the building for generations to come and save its elegant facade and graceful bell tower from the wrecking ball.